How do I use the Snowball Edge file interface to mount Amazon S3 buckets to a PC? How do I mount the AWS Snowball Edge as a drive connected to my PC using the Network File System (NFS) protocol? After you mount one or more Amazon Simple Storage Service (Amazon S3) buckets in your AWS Snowball Edge to your PC, you can transfer files between them. Important: The file interface isn't enabled by default. Be sure to enable the file interface before you proceed. Create a job for a Snowball Edge. For more information, see Create your first job. Connect to the Snowball Edge and unlock it from a terminal on your PC. 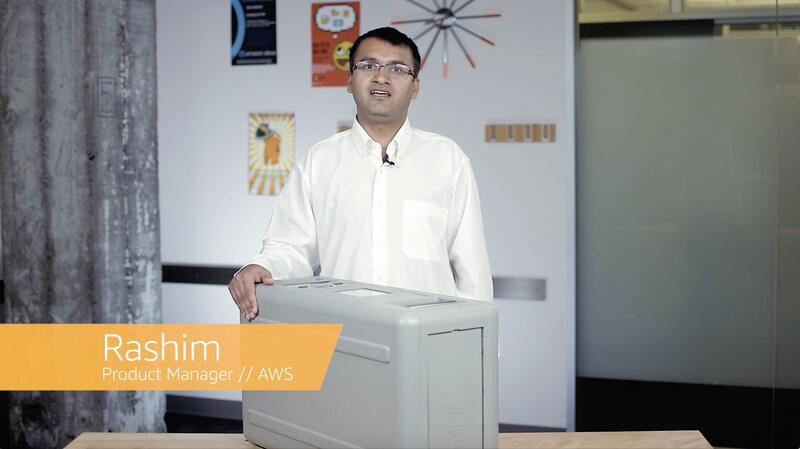 For more information, see How do I unlock an AWS Snowball Edge? On the display of your Snowball Edge, choose the Connections tab. From the drop-down menu in the center of the display, select File interface. Make a note of the IP address of your NFS endpoint—you need this for a later step. On the display of your Snowball Edge, choose the Edge tab. Choose the File interface button. Expand the drop-down menu for the Allowed clients field. This menu lists all the S3 buckets on the Snowball Edge. Make a note of all the buckets that you want to mount on the PC. Note: As another option, you can also use the AWS Snowball console to get the list of buckets. The file interface uses the NFSv3 and NFSv4 protocol to access files over a network. For the list of supported clients, see Supported NFS Clients for the File Interface. We recommend that you limit access to the buckets on your Snowball Edge so that they accept NFS traffic only from the IP address of your PC. You can do this from the Snowball Edge display by choosing the bucket from the Allowed clients field on the File interface tab. Then, choose Edit and enter the IP address of the PC. To avoid data corruption, do not power off or disconnect the Snowball Edge until after the display indicates that 100% of the data is written to the device. For file limitations and other considerations, see Considerations for Using the File Interface. What is an AWS Snowball Edge?